A place where time stands still holds a certain fascination — the idea that the inexorable march of time perhaps is not always inexorable after all. Abandoned buildings often capture that feeling. One that does so exceptionally is an unnamed hotel in Southern California that has been in legal limbo since being boarded up in 1939. The interior is especially compelling to see (if a wee bit creepy). 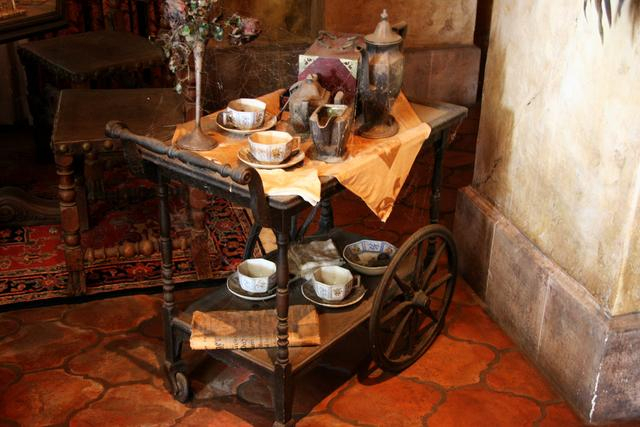 A tea service that has been on hold for seventy-one years.